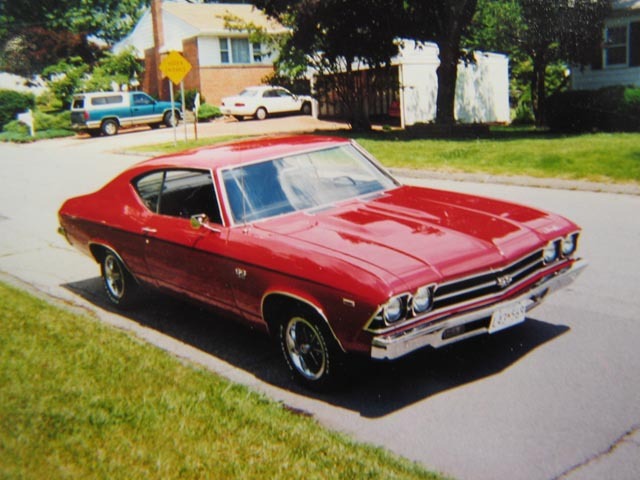 Here's a shot of Charlie's actual Chevelle. Astute members might recognize his car from page 3 of our November 2003 Newsletter where it had been photographed at the third annual UPS car show. Charlie spent more than a year building his replica; working, as most of us do, off and on (mostly off), as our schedules permit.